It seems as it Volvo’s been trying to change they brand image since the dawn of time. Having made more than their fair share of reliable and safe brick-mobiles, Volvo’s first attempt to slough off their staid image was a complete and utter flop. Selling just 68 examples, the Volvo P1900 was quickly determined to a be a failure, and just four years after its demise, Volvo released this: the P1800. Immediately taking hold of the market courtesy of its stylish good looks, excellent road manners, and sublime interior, the P1800 sold almost 40,000 units over the dozen years it was made, with the coupe station wagon wagon, the P1800ES selling an additional 8,077 units in the two short years it was made. 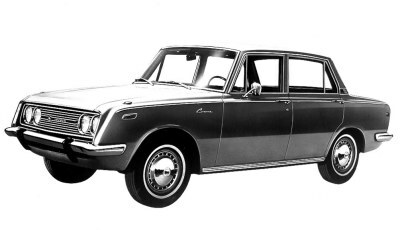 With a pleasant 2.0L four pot under the shapely hood, this particular car left the factory with an decent 125 horsepower; five less than the coupe version of the same car. Although the downgrade was as simple as bolting on a thicker head gasket to lower the fuel injected motor’s compression ratio, many contemporary critics felt the change actually improved the car’s performance, making it less peaky and more driveable. Now, as far as this particular P1800ES goes, it obviously looks as if it could use some work. In fact, it looks rough enough that I contemplated keeping it out of the blog on behalf of its condition… but I took heart from the fact that it was the recipient of a recent restoration, which gives me at least a little hope that it may be a decent candidate for someone with a modicum of mechanical know-how. Being a Volvo, these aren’t vehicles renowned for their unreliability (one actually holds the record as the most well-travelled car in the world with over 3 million miles), so with a little bit of elbow grease, I wouldn’t be surprised to see it back on the road in relatively short order. Also, with a very active enthusiast community and even a local club, owning a P1800 in Vancouver is, apparently, very easy. There are few vehicles on earth with the cool factor of the Volkswagen Thing. 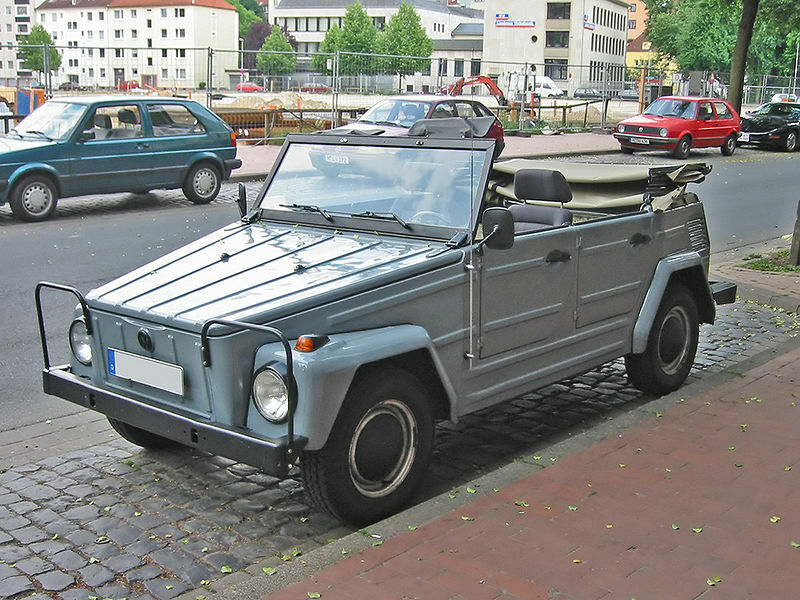 Based on the old Kubelwagon military vehicle, the Thing was the byproduct of a few different Volkswagen assemblies. Borrowing the engine and transmission from the Type 1, the Thing’s unique sheetmetal started with the floorplan of a Karmann Ghia (due to the Ghia’s greater width) and the rear swing axle from the then-discontinued Type 1 Transporter van. However, being a 1974, this particular example should be riding on a double-jointed axles mounted to semi-trailing arms; a setup similar to that found in US-spec Beetles of the same era. A vehicle I’ve actually had the pleasure of driving, operating a Volkswagen Thing is remarkably fun. Like something located between a go-cart and a classic Land Rover, what they lack in power they make up for in exuberance. 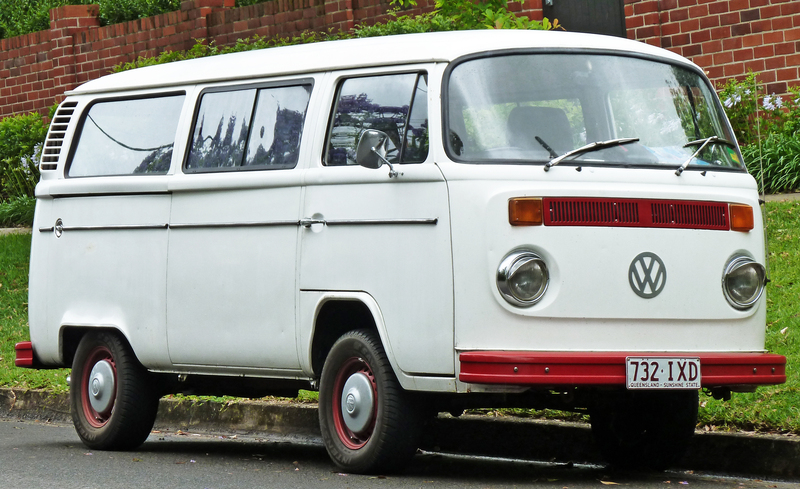 This being the second Volkswagen in a row for the blog, it almost feels as if I’m repeating myself when I warn of rust, but the reality is that there’s no such thing as a classic VW that’s out of the rusty woods. And when it comes to the Thing, too much rot can be a very bad thing thanks to their relatively uncommon body panels. It doesn’t help that the once-cheap Thing has a long history of abuse, as previous owners tested the bizarre vehicles’ limits off road. And even if there isn’t much rot, any potential owner needs to be aware of the car’s caveats. Being based upon a military vehicle, even the best examples can be a little rough around the edges. The ride isn’t the smoothest, and things like keeping out the weather seems to have not been one of VW’s priorities with the flimsy windshield, doors, and roof… but, the flip side of that equation is an almost undying love to surviving. And as far as value goes, it’s one of the best values on the used car market, being one of those cars in which the cool factor is hugely disproportional to its price. And as they get older, one can expect the prices to only go up. Even in the as-yet short history of this blog, it already feels like the Ford Galaxie is quickly becoming a favourite. Cheap, robust, plentiful, and obviously long-lasting, the gigantic and quintessential Ford populates Craigslist like a Blue Oval-adorned cockroach, rearing it’s sometimes-ugly head in everything from coupe to sedan to convertible to wagon forms. And why shouldn’t it? One of the most popular vehicles of the late ’60s, the Galaxie was to its contemporary market as the entire Toyota Corolla, Camry, and Solara lineups are to today’s car-buying public: popular and practical in equal measure. And it was cars like this that made it so. Handsome, useful, and with just the right amount of panache thrown in, this 1969 Ford Galaxie could be a complete pussycat on Sunday morning’s church run, but would prove just as capable at destroying the bias ply rear tires on a Friday night. Refrigerator white with a black vinyl top, it might look the part of the pedestrian appliance, but with a 390 big block under the hood it was anything but. In fact, when ordered in concert with the four barrel carburetor, the 390 big block provided the biggest blast you could have in a Fairlane until midway through 1969, when Ford dropped in the 428 Cobra Jet. This means that one of this cars owners took his (or her) automobile pretty seriously. And given its current shape, I dare say that all the owners since have shown nearly as much care! With just a bit of rust appearing on the quarter panel, it’s in surprisingly good and remarkably unmolested shape. The 390 is a workhorse of an engine that’s longevity is more than matched by the C6 automatic, which means this thing will run itself into the ground. But thankfully, the power steering and power disc brakes (both great additions) will prevent the car from taking you with it. Overall, it looks as if it would make a great daily driver for someone looking for a gradual project that can be tackled one part at a time, and who doesn’t want to make the same concessions to “creative motoring” that an older car will demand. If you’re a firm believer in making a good first impression, you simply can’t do any better than to be seen stepping out of a classic Rolls Royce. There’s just something about them that no other car can match. They ooze style and grace in a manner that modern cars just can’t hold a candle to, and if a new BMW 760i or Mercedes S65 makes sure everyone hears you screaming “new money,” an old Roller whispers “so much goddamn money that I don’t even care if you hear me,” and then punctuates the end of that sentence with “Peasant.” And although a 1967 Silver Shadow may not have quite the same panache as a Silver Wraith (which is definitely the coolest car name ever), it’s still at the pinnacle of Rolls Royce styling and engineering, before the 70s brought its chiselled lines and painted/plastic bumpers to the brand, and before crappy electronics started befuddling the glorious swathes of walnut and leather that comprised these cars’ interiors. Perhaps that why, with 16,717 produced, the Silver Shadow remains the most popular Rolls Royce ever. But, make no bones about it: this isn’t a classic car for the faint of heart. Although the $13,500 price tag may have you thinking it’s a great alternative to the Honda Fit you were eying, the truth is that these vehicles are incredibly complicated, and require someone that’s as much a partner as they are an owner. Although incredibly well designed and constructed of the absolute finest materials, Silver Shadows were entirely hand-built, as a result, you simply must accept that things will not be assembled as they would in a modern, robotically-built car. Certain things may squeak, others may leak, and nearly everything will require constant vigilance to correct these issues and maintain the car. Why? Because although the 6.2 litre V8 isn’t overwrought, and the dual carburetor setup isn’t afflicted with the mass of pollution controls that you’ll find on later cars, and the three-speed automatic isn’t known for unreliability, the reality is this: when something does break, it will cost a pretty penny to replace. So, do your due diligence: check maintenance records, thoroughly inspect absolutely every nook and cranny (looking specifically for leaks under the car, rust around the body, or corrosion under the bonnet on things like the radiator connections), get a CarProof history (that’ll tell you if the relatively new paint is hiding some dings! ), and take it for a drive. The ride should be dead calm, the powertrain should be powerful (reaching 100 mph in these cars should be effortless) and utterly silent, and everything should work. Then, check everything again. And keep this in mind: as daunting as owning an old Rolls may seem, when you consider that such a fantastic vehicle can be had for less than half the cost of a well-equipped Honda Civic, you’ll be leaving plenty of dollars in the bank to deal with the inevitable and still be able to look down on the S65, 760i, and LS600hL crowd with nothing less than complete and utter disdain while you mutter “peons” under your breath.